Knowledge: What do we want the students to know about? We want our students to explore the commonalities of human experience and to learn the about global significance of our actions. 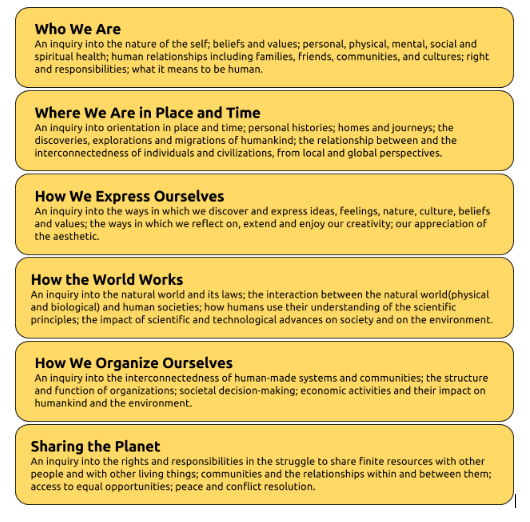 All of Lakeview's units of inquiry fall into the following transdisciplinary themes. Each grade has 6 units of inquiry, one under each theme. Each year they explore a different portion of the transdisciplinary ​theme. The 36 units collectively constitute our Program of Inquiry.